Tonight at 4 pm starts the soft launch of the Leslie Squared show (OK, I admit, I haven’t figured out how to make the squared symbol on my laptop yet) at ART by KATY. 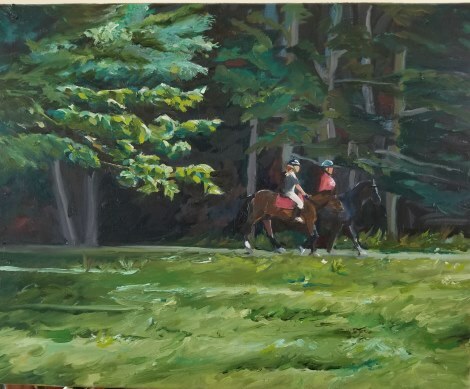 The show features oil paintings by Leslie Anderson and me, Leslie Landrigan. Both of us are married to Dans and both of us paint landscapes, so voila! 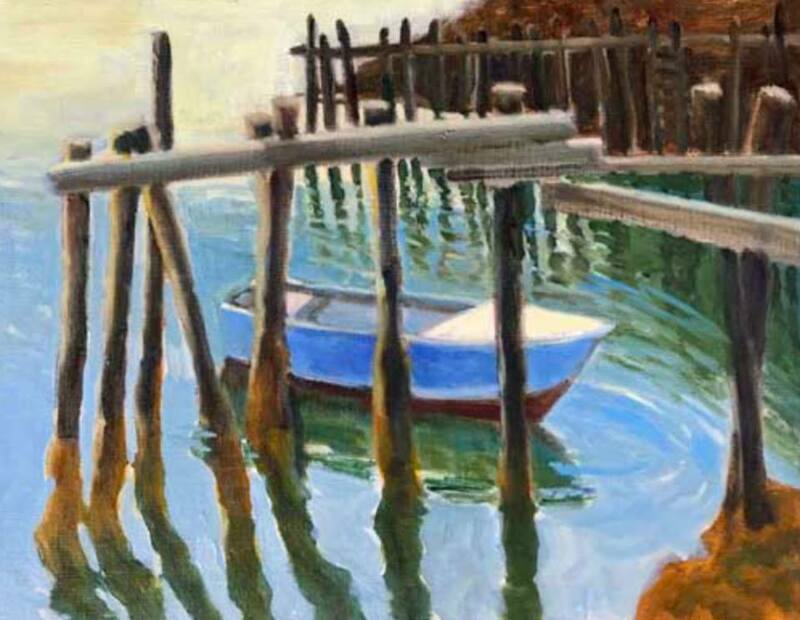 Tonight (July 6) is DIS Friday in Stonington, and Katy Allgeyer is holding a reception for Leslie Squared at her ART by KATY gallery at 22 Weed Field Rd. 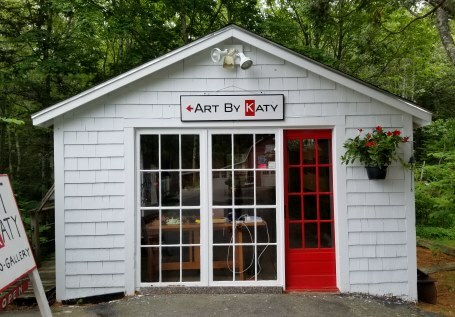 The Art By Katy gallery at 22 Weed Field Rd. 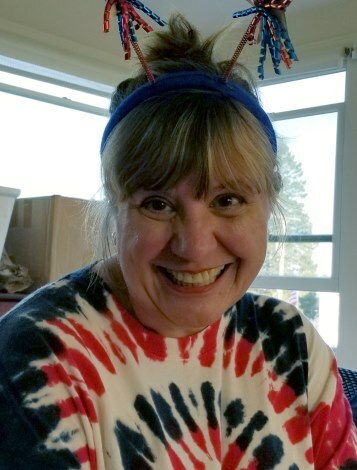 Katy Allgeyer in celebratory Fourth of July fashion. Katy has done a great job promoting the Leslie Squared Show at ART by KATY. We’re in the Bangor Daily News, the Ellsworth American and the Island Advantages. My Dan and his family, visiting Deer Isle at the time, dropped by the Art By Katy gallery on Wednesday for a peek at the paintings, a glass of wine and some very smart edibles. I believe they were duly impressed by the rustic charm of the gallery. Katy is relaunching the gallery after a hiatus of several years. She’s worked really hard to make it a very appealing space, and I’m excited to be part of her reopening! The big ART by KATY opening pARTy will start the next night, Saturday, July 7, from 4-7 pm. There’ll be more wine, more smart edibles, fun and interesting people as well as oil paintings by someone named Leslie. Leslie and I, by the way, both started out doing watercolors, and we’ve both branched out into oils. Which is what you’ll see at the show, which runs until July 26. So be there or be squared!